If you’ve been following some of the major American publications that cover mobile news today, you may have seen that Samsung’s new Note 5 has a potential design issue involving its signature stylus. 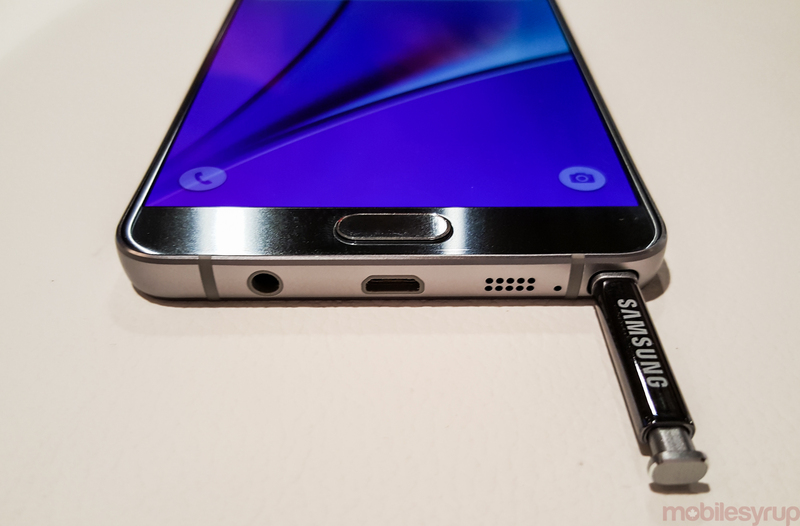 In contrast to previous iterations of the S Pen, it’s possible to insert the Note 5’s one blunt end first. And while the pen will initially start to slide into the silo designed for it, it will also eventually become stuck. With some force, it can be unjammed. However, doing so will damage the stylus, and, worse still, potentially disable the Note’s stylus detection system permanently, making it impossible to use features like the S Pen’s Air Command menu. Android Police was one of the first publications to touch upon on the issue when it posted a video showing how the S Pen could get stuck. Since then, multiple other publications have reported on it as well, forcing Samsung to issue a statement. “We highly recommend our Galaxy Note5 users follow the instructions in the user guide to ensure they do not experience such an unexpected scenario caused by reinserting the S Pen in the other way around,” says the company’s statement. Below is the page in question. 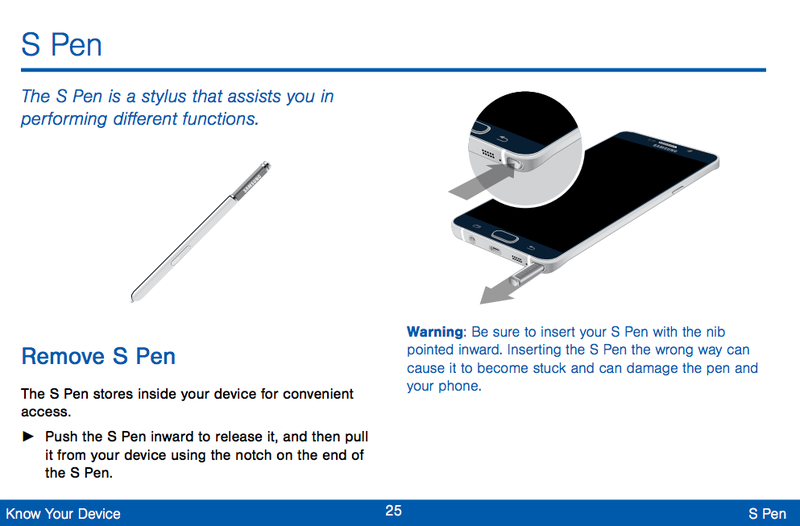 Note that there’s a warning that explicitly states to insert the S Pen nib side first. Based on the content of Samsung’s statement, it doesn’t seem the company intends to do anything about the issue currently.